Curious about Wool Diaper Covers? Then this post is for you! Wool has a very important place in the cloth diapering industry. For one, it's a natural fiber, perfect for those who want an alternative to synthetics. Second, it's naturally water resistant! How can that be? Wool is different from other hairs and/or fibers because it has a hard outer layer that overlaps creating an outer water repellant layer around the fibers core. This water repellant or resistant quality makes it the perfect, natural choice for cloth diaper covers. Wool will essentially keep the moisture in the prefold or fitted, where it belongs. Wool is also breathable and a great insulator. A great option for winter climates and cool weather, thus the reason it's so popular for use in making outerwear. However...it is also able to regulate temperature. This means it can keep you cool in warm weather or warm in cool weather. Crazy right? It really is naturally that impressive, those sheep sure are lucky creatures! The number one concern cloth diapering families have about using wool is that they are afraid that they'll ruin it or that it will be hard to care for. Since wool covers do generally cost more than your average waterproof covers, some feel that the fact that they could be ruined easily is a reason not to buy them. 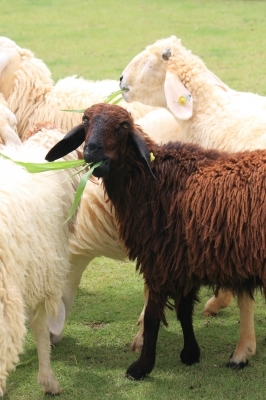 Caring for wool is actually easy! Ok, maybe not as easy as just throwing your wool in with your other cloth diapers, but as long as you've done a little research you should be fine. First you should have a Wool Wash on hand. Eucalan, Sheepish Grins, and there are others. A quick google search will get you an idea of the different types of wool washes available. Soak your wool in the wool wash, according to the directions, in cool to barely warm water for approximately 15 minutes. Try not to scrub too harshly or agitate your wool too much during the washing. Lanolin can be used approximately once a month as needed to restore your wools water resistant properties. One teaspoon dissolved in hot water, then mixed with cool water, then soak your wool for 15 minutes. Rolling your wool inside a dry towel will help remove excess moisture after washing. Some moms even throw their wool in the washer, just on the spin cycle, to spin out some of the moisture. Sunning lightly helps with unwanted staining. For a great selection of wool covers please visit a Knickernappies Retailer near you! Knickernappies Sightings: The Giveaway Edition!